OnePlus introduced the OnePlus 6T McLaren Edition smartphone to the world back in December last year. The OnePlus 6T is nothing but an enhanced version of the OnePlus 6T with some improvements like 10GB of RAM and 256GB of internal storage. The McLaren Edition of OnePlus 6T also brings some design enhancements like the orange color ascent and much more. 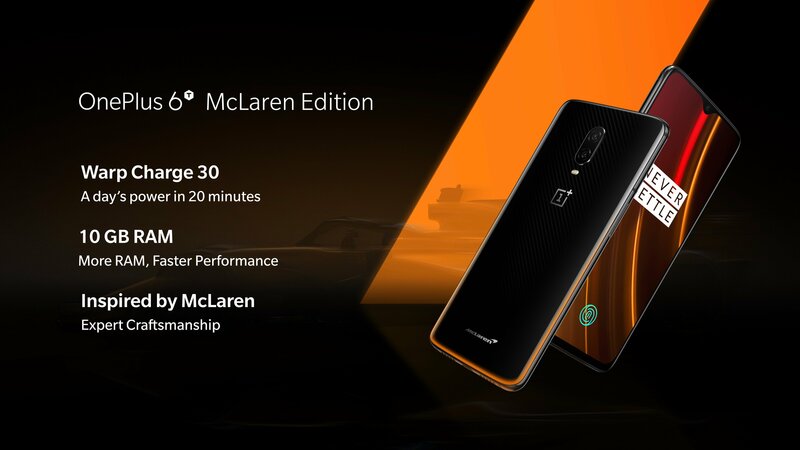 Now Amazon and OnePlus have announced availability of the McLaren Edition OnePlus 6T smartphone in India. The device is now available for purchase from Amazon India and that too in limited quantities.